We have to agree to this fact that rejections are the part of life. Previously I have talked about how experience teaches some of the important lessons in life. This experience also teaches us how to deal with rejections. It should be seen as a path to improvement. 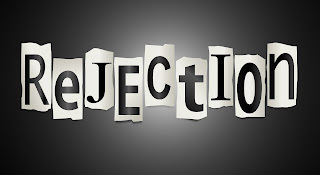 As to what I feel about rejections, people get rejected when the society feels that something different is going to happen, something out of the norms and due to the human tendency of not going out of the comfort zone, it is rejected. For example when one has to publish a book, he/she gets rejected several times by several publishers. Many a times we give interviews in many companies in our career path but we get rejected many times before landing in a job. What these rejections show? These rejections simply direct our minds that we need extra skill or knowledge to crack that interview or to write in a better way to impress that publishers market. I remember last year I wrote a thirty-five thousand word manuscript which got rejected by all publishers to whom I approached. I understood that my writing was not up to the mark for literature lovers and I gave a challenge to myself to continuously learn, practice and preach the art of writing and today I can say that I have improved a lot. What that rejection taught me was to never give up and stand like a rock to meet that dream of yours. I am not a published author by now but I can say that I have improved myself, improved my writing skills, improved my vocabulary and will keep on doing it till the end of my life. Below I have mentioned some tips which will help you to deal with rejections at any stage of life. As simple as that. 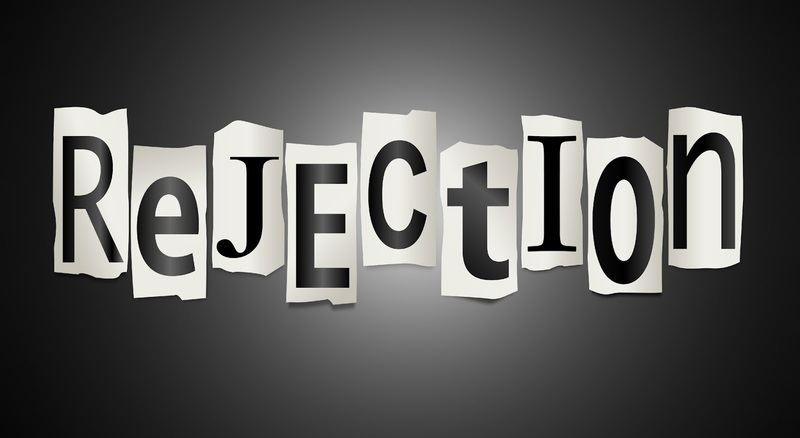 When we are dealing with rejections, the rule of the thumb should be not to stop there but to move on till the rejection is converted into acceptance. This is very well explained by the example of a lover ditching his/her partner. What we do? We simply move on to find another suitable match for ourselves, settling with the one we truly love. This technique is very well used by all who succeed in achieving their goals. Rejection is nothing but an obstacle in your path of success. This happens with all. Those who find a way by rejecting rejections, succeed, others fall behind. This helps to overcome your fears as well. When we take rejection personally, it may become a source of depression. It feels very personal with people left with the question in their minds, 'Why me?'. The problem with this attitude is that one may feel too low and this will stop him/her to progress. For example an employee asks for an appraisal after his hardship while achieving the targets, but it gets rejected due to several reasons , that employee might take it personally and his/her productivity will be compromised to a significant extent. The best advice is that rejection is a part of life, everybody's life. It is better to live with it because it will make you a stronger person. You would be able to convert your weaknesses into strengths, your failures into your successes. Do try these tips when you get rejected remembering one thing at all times, never to give up on your dream because of these minute obstacles like rejections. Stare it in the eye and challenge yourself to meet what you have aimed for yourself. Good luck to all of you. Do let me know the results in the comments section below. Yes, rejections are part of everyone's life. Success comes to those who accept that fact and move on.